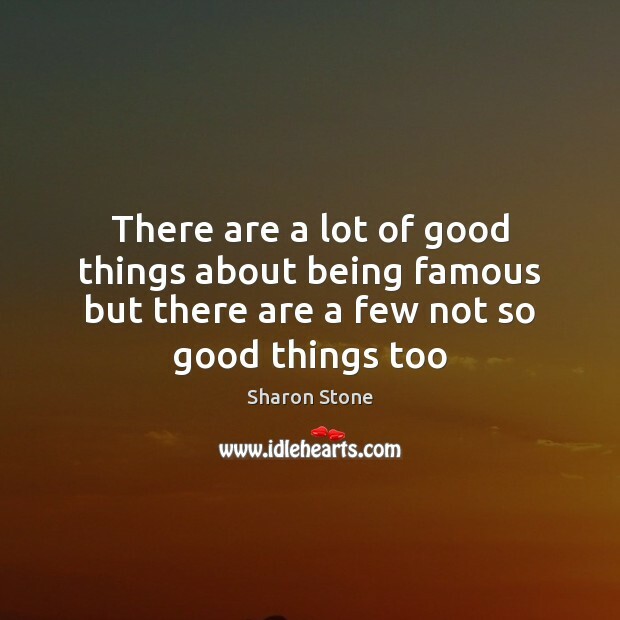 Quotations about Being Famous. Quotes to stimulate mind and drive action! Use the words and quote images to feed your brain inspiring things daily! 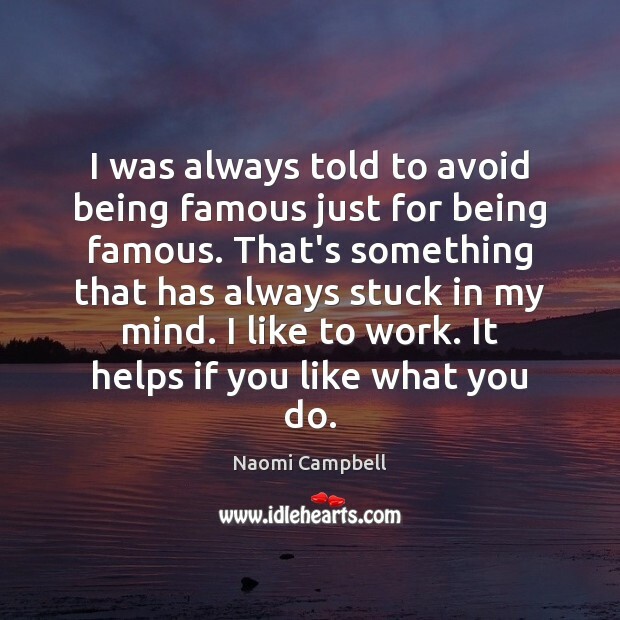 I was always told to avoid being famous just for being famous. That's something that has always stuck in my mind. I like to work. It helps if you like what you do. 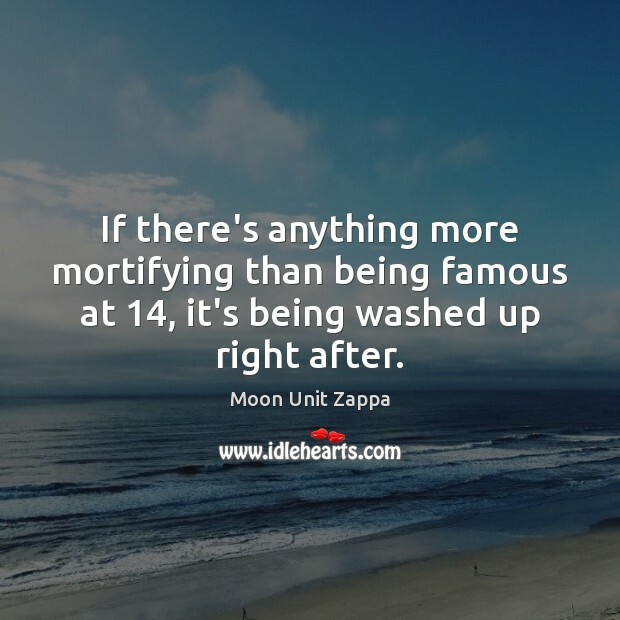 If there's anything more mortifying than being famous at 14, it's being washed up right after. I always wanted to be a movie star. I thought it meant being famous and having breakfast in bed. I didn't know you had to be up at 4:00 a.m. I didn't grow up thinking I'd be a decorator. 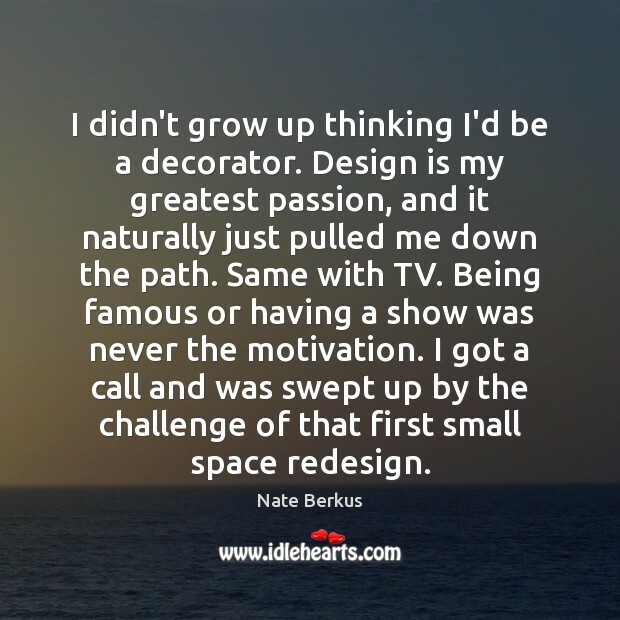 Design is my greatest passion, and it naturally just pulled me down the path. Same with TV. Being famous or having a show was never the motivation. I got a call and was swept up by the challenge of that first small space redesign. And to me, fame is not a positive thing. 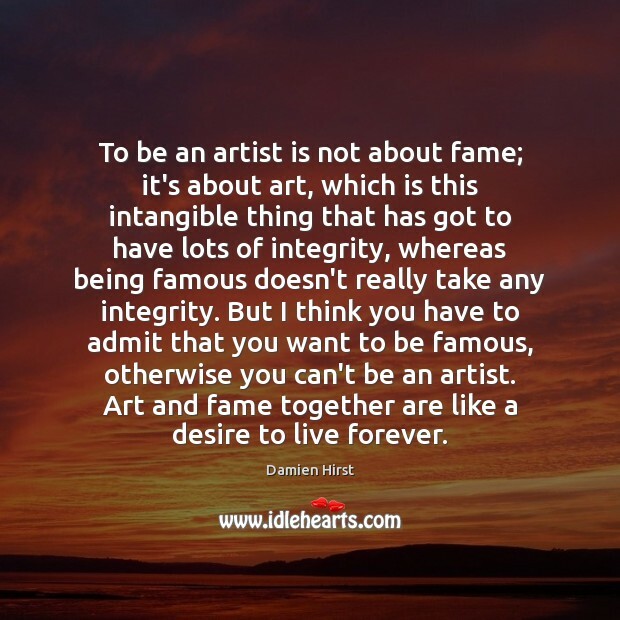 The idea of being famous is a lot better than the reality. It's fantastic when you go to premieres and people cheer you, but it's not real. And it's totally not my approach to get my name on a club door just because I can. 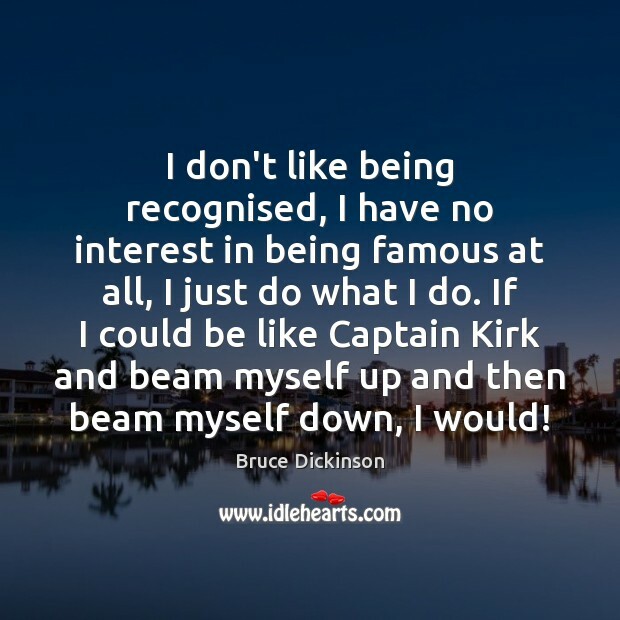 I don't look at myself as being famous. I look at myself as an athlete. 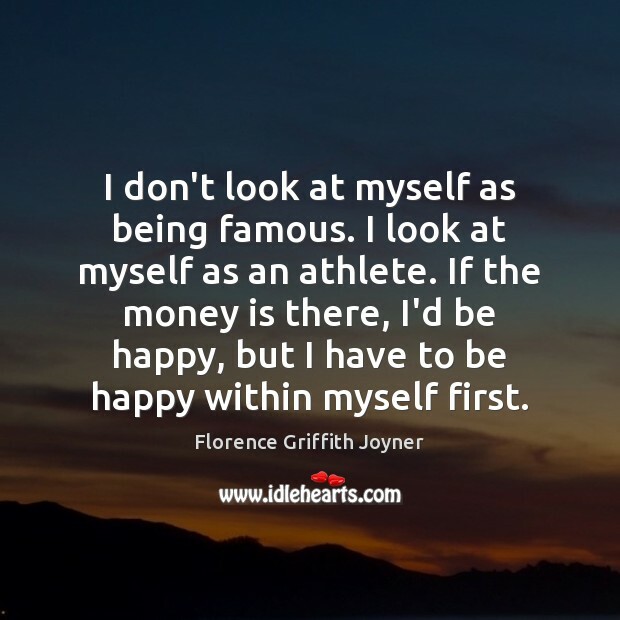 If the money is there, I'd be happy, but I have to be happy within myself first. This whole celebrity-fame thing is interesting. I'm the same person I always was. 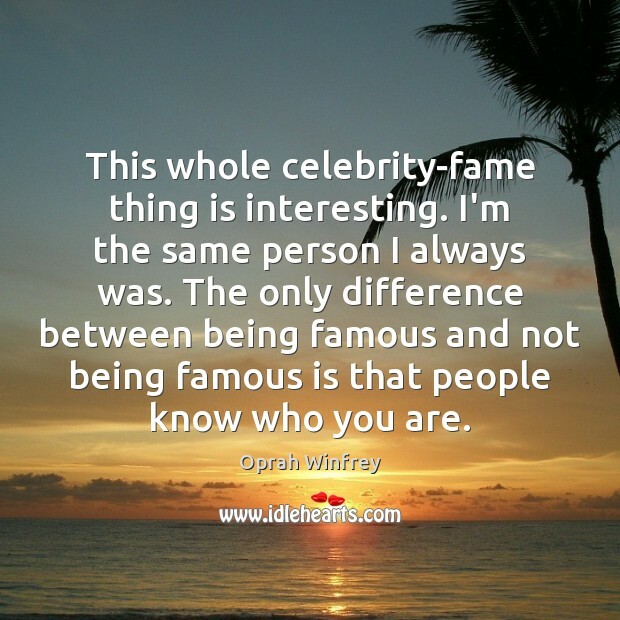 The only difference between being famous and not being famous is that people know who you are. In the realm of pop celebrity, the bar has been lowered so far that there is no bar. 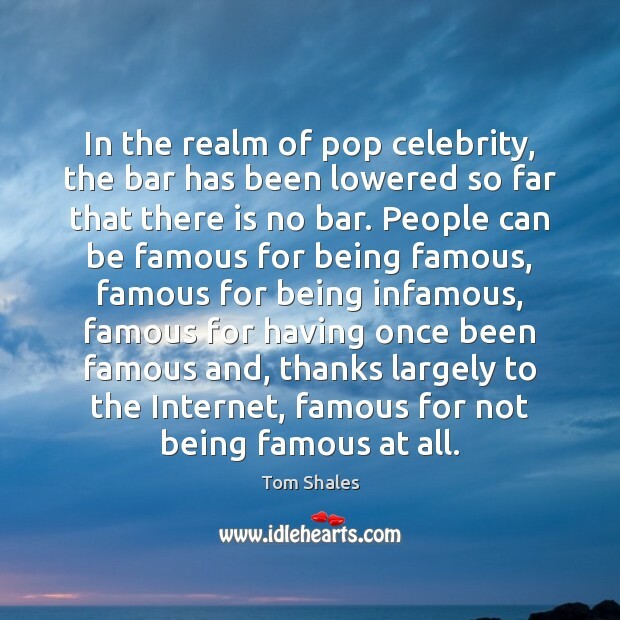 People can be famous for being famous, famous for being infamous, famous for having once been famous and, thanks largely to the Internet, famous for not being famous at all. I have to deal with being famous. Sometimes I have to tell people I don't do autographs, thank you very much. At certain places, I refuse to have my photograph taken. 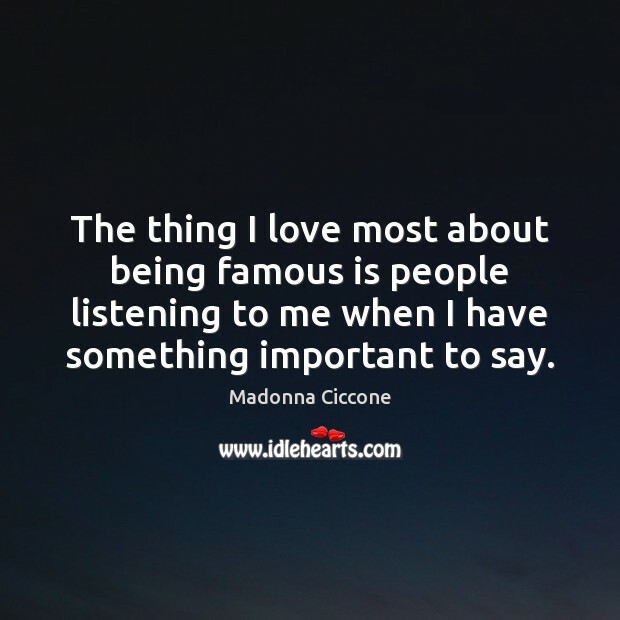 The thing I love most about being famous is people listening to me when I have something important to say. I just want to make sure I'm contributing good films to movie history rather than being famous just to be famous. Oh, it's soo hard being famous! I can't date anybody because everybody just wants my hot body and my Twilight millions! I can't imagine wanting to be famous just for the sake of being famous. I think fame should come along with success, talent.